The race to invent, develop and then, hopefully, bring new inventions to the tech and gadgets marketplace never stops and, in 2015, there are thousands of new ideas for consumer technology appearing on crowdfunding sites like Kickstarter and Indigogo. These are the websites that allow you to post up your concept, no matter how wild or wacky and then, if you’re lucky, get funding to make the dream become a reality. Of course, not everybody makes it, but as you’ll see from the assembled gallery, this looks like being a good month for the best in tech and gadgets. They’ve got smart 3D audio headphones, intelligent wireless displays and sunglasses that play music through to a bargain-basement electric bike and smart insoles. So, read on for a glimpse at the best new inventions for May. If music is your thing then UAMP is worthy of investigation. ‘Soul shaking audio for your ears’ proclaim the folks behind this design, which is a small and very portable headphone amplifier. It measures just 43x43x9mm and weighs just 26 grams. At the same time, it knocks out high-quality audio and boasts a battery life of ten hours, so you’ll be enjoying high-end audio no matter where you’re heading. 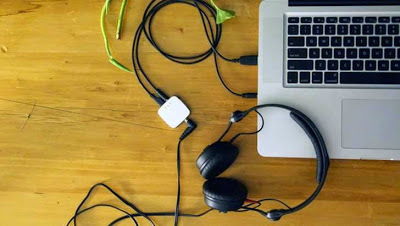 Simply plug it into your iPod, iPad, iPhone, Android device, laptop, or any device with a 3.5mm headphone output and experience turbocharged sound! This is a neat idea if you’re in need of showing something on a big screen because it can turn any flat surface into a showcase for your work, presentation or pretty much anything else. It works like a big projector, works using a small computer and is housed in a very nicely designed outer casing. Beam allows you to watch TV on your bedroom ceiling, but it also has a raft of other uses, from gaming through to displaying menus in restaurants. Traditional disc drives and conventional storage are all well and good but they fill up fast. 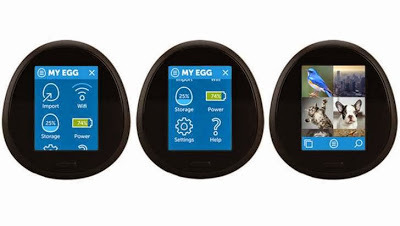 So, what better way to exploit the endless storage possibilities of the Cloud than via The Egg. Its makers reckon that it’s the industry’s first handheld ‘personal web’ device, which duly makes space on all your gadgets when you need it most. It allows you to automatically move content off your devices, lets you share HD video, images and other digital content with ease and keeps everything safe and secure into the bargain. 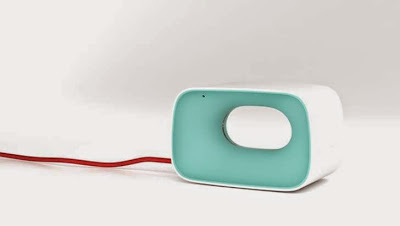 The Egg can even be called up to charge other mobile devices thanks to its built in battery and USB port. 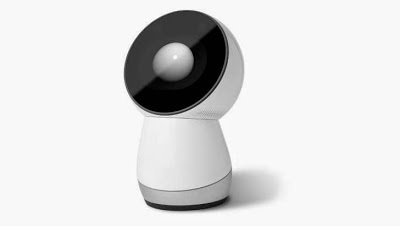 Billed as the world’s first family robot, Jibo looks like quite an unassuming proposition on the face of it. However, behind that stylish white finish it can see – via two hi-resolution cameras that can recognize and track faces or allow video calling. It can also hear, via 360-degree microphones along with having artificial intelligence algorithms that can learn your preferences and adapt to suit your own personality. In practical terms this means Jibo can remind you of important tasks and events along with delivering messages to other members of your family. 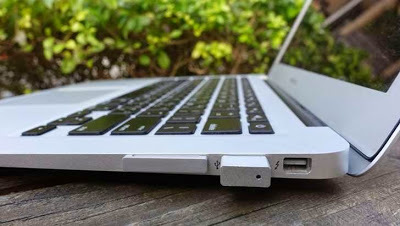 Got an Apple Macbook and crave extra storage space? Well, the MicroSSD should be right up your street as this natty new design, complete with anodized finishing similar to the body of the Apple machine itself, should fit the bill. The MicroSSD comes in SD card and USB versions, to which you can insert a microSD card of your choice, right on up to a whopping 128GB. This is a natty little gizmo that could be a dream come true if you have a lot of gadgets and often fall foul of them running out of juice. 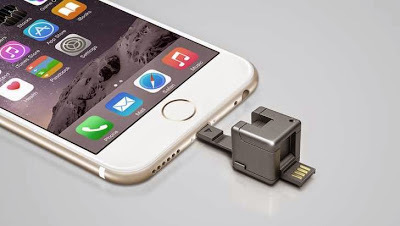 WonderCube is a durable, super tiny and lightweight keyring attachment that can act as a charger, non-slip phone stand, syncing device, flash memory housing and LED torch, plus there’s a built-in USB cable too and the whole thing is just 1-inch square. One of the best things is its capacity to act as an emergency booster – simply connected a 9 volt battery into the adapter and you can bring your phone back to life. Japan is always a great place to find new gadgets and it’s where Listnr was first developed. This is a new listening device that is connected to the Cloud. So, what’s it for exactly? Well, Listnr allows you to connect a smart lightbulb, something like the Philips HUE for example, and turn the light on and off by snapping your fingers. It can also double as a baby monitor and will notify you via your smartphone if it hears your offspring making a noise. A built-in LED lamp can also be set up to show different colours to reflect different sounds. This invention looks slightly odd but it’s been receiving plenty of funding offers so it’s clearly fire struck a chord with backers. 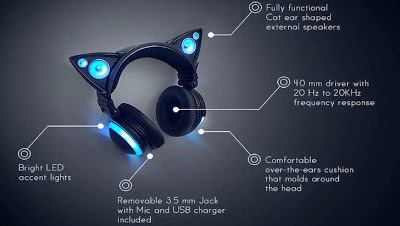 The designers claim that it’s the ideal fusion of fashion and functionality by featuring external cat ear speakers and LED lights. The cans come in a host of vivid colours too, so you can stand out even more while the technical specification includes 20Hz – 20KHz Frequency response, 6 hour battery life, built in volume control plus forward and backward buttons included plus a weight of around 280-300 grams. Billed as the first ever hover and touch controller, this innovative new device lets you play Android games and apps directly to your TV. 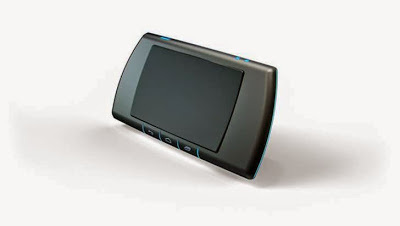 In essence, the unit is a standalone Android-based console, which will connect to any TV and turn it into a giant tablet. The concept works around three main components – there’s the ZRRO Pad, which is the controller bit, there’s a ZRRO Box that is a TV console and then there’s your TV, just as long as it has an HDMI input. 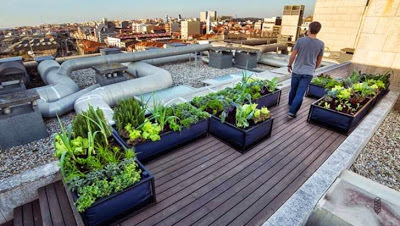 Inner city areas and other built-up conurbations often have little space for greenery but this is where the Noocity Growbed concept comes into play. It’s a unique and efficient self-watering and self-fertilizing gardening system. Easy to assemble and low maintenance, it effectively allows you to grow fruit, vegetables and nutritious herbs just about anywhere. The bonus is that it’s self-sufficient for up to three weeks and also consumes 80% less water than conventional cultivation systems. 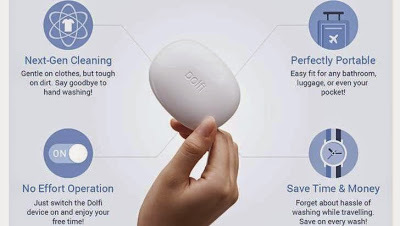 A novel hand-sized device that can clean your clothes using the power of ultrasonic technology. Its designers say that the gizmo is gentle on clothes and takes a lot of the hassle out of washing, thanks to that next-generation tech. It comes complete with an inflatable hangar, some natty fixtures and a sink stopper, plus the Dolfi itself, which makes it an ideal companion if you’re travelling and need to wash clothes without racking up hotel laundry bills. If you’ve got an urge to play a musical instrument and can’t decide which one to go for then the Artifon Instrument 1 might be a good alternative. 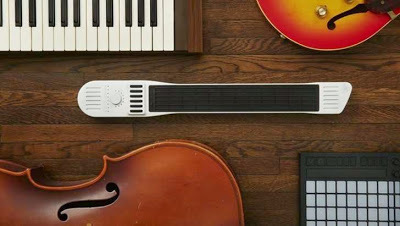 This unique design allows you to strum a guitar, bow a violin, tap a piano and loop a beat all on one single gadget. This quirky multi-instrument effectively turns you into a one-man band and its makers reckon that Instrument 1 can literally make any sound imaginable. 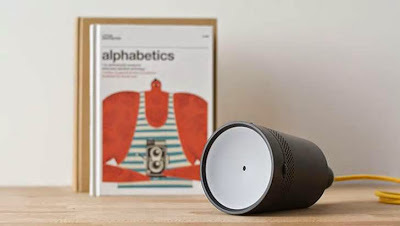 Welcome to Zwing, or the smartest speaker you’ll ever have according to the boffins behind this natty design. 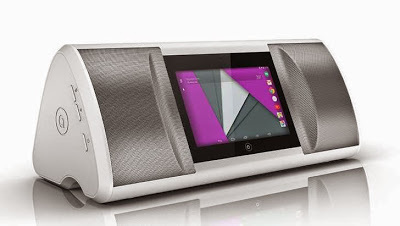 This is a smart, portable wireless standalone speaker that boasts an Android touchscreen and sound that is, by all accounts, awesome. As well as having performance, the unit is aimed at style-conscious users too and is going to be available in Jupiter Red, Polar White and Cosmos Black. There are built-in apps including Google Play, Pandora, YouTube and Skype too. 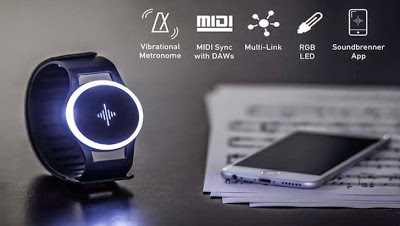 If you’re a musician then you’ll probably like the sound of the Soundbrenner Pulse because it’s a metronome, and along with ensuring that you stay in time, it’s also wearable, smart and powered by vibrations. So, inside this little round box of tricks likes a MIDI Sync system, there’s the vibrational metronome itself and you also get an app that allows you to hook it up to your smartphone to keep control of your practice sessions. Its always our job to keep all our readers and followers updated when it comes to technology and the latest inventions. We hope you love he Gadgets and if possible go find yourself one and keep up with the trend.